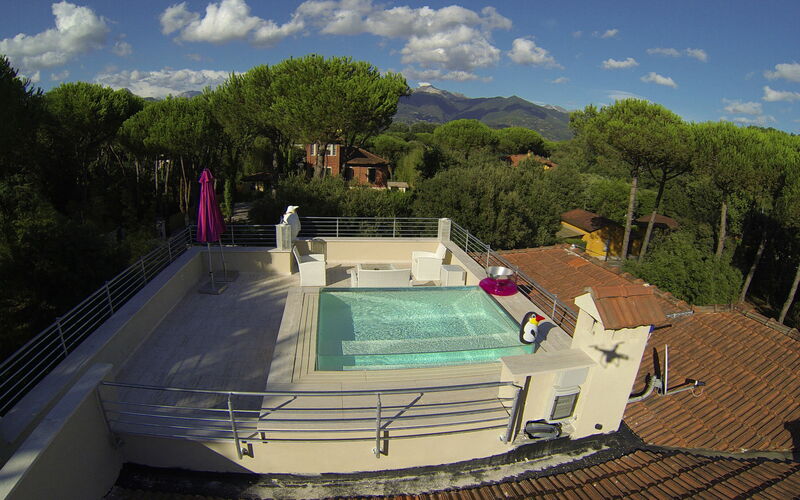 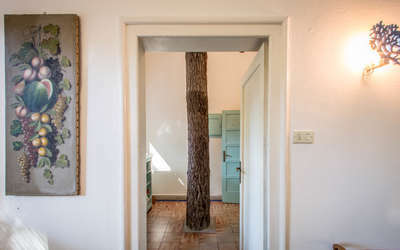 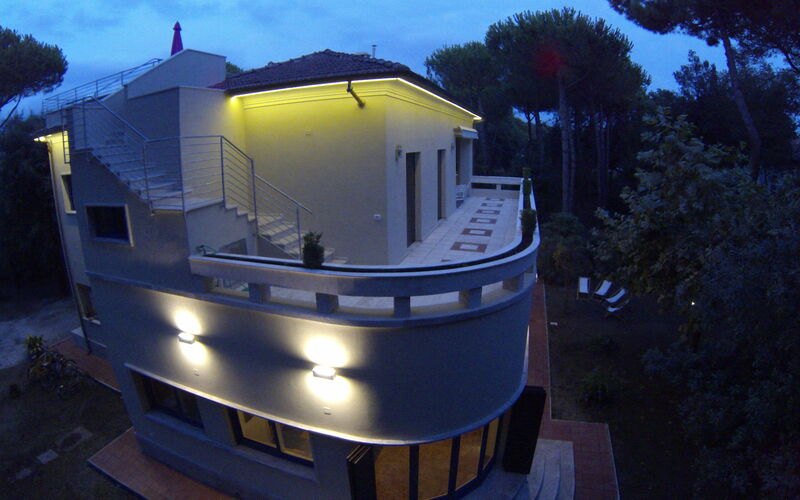 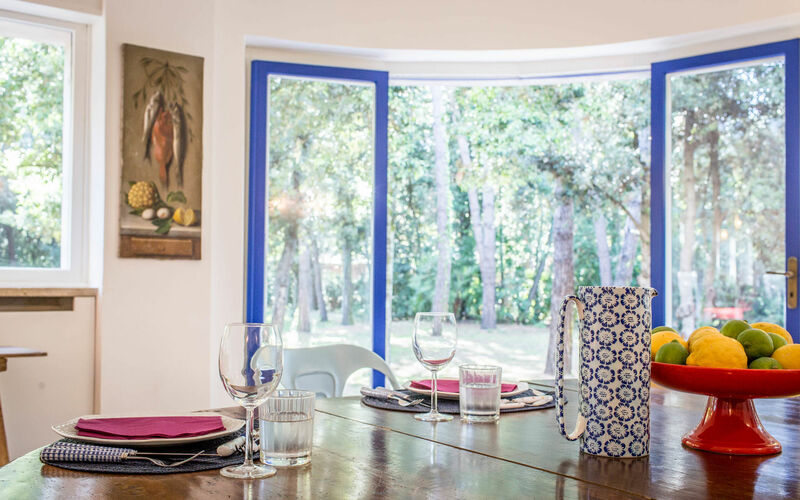 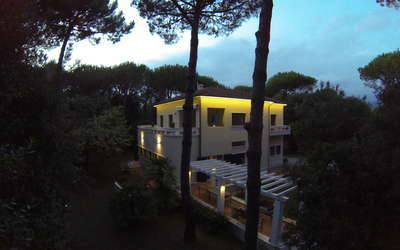 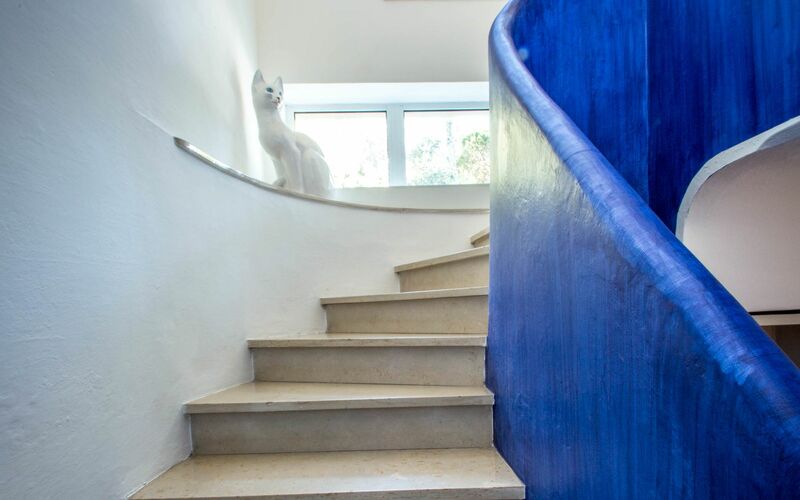 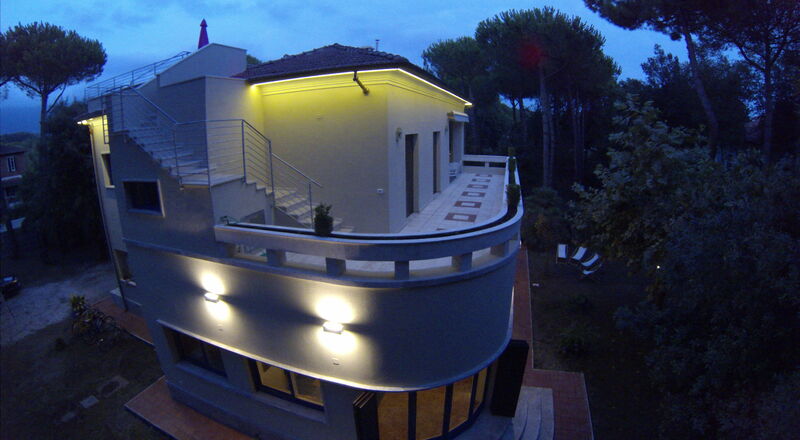 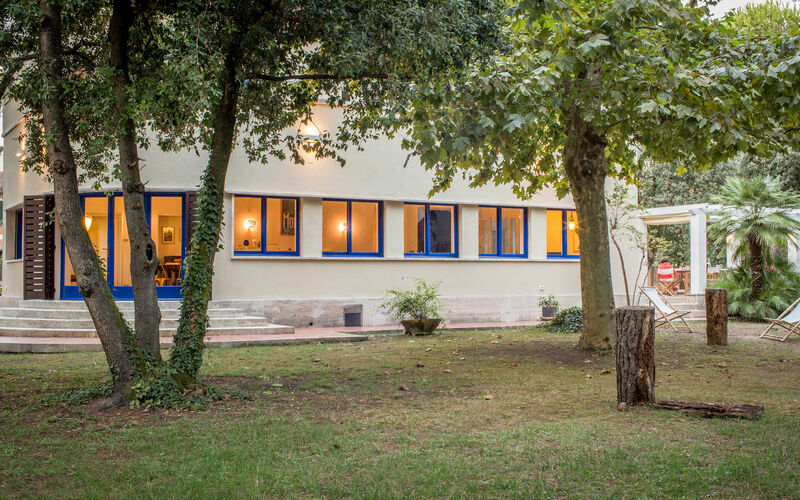 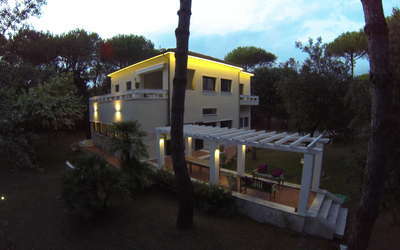 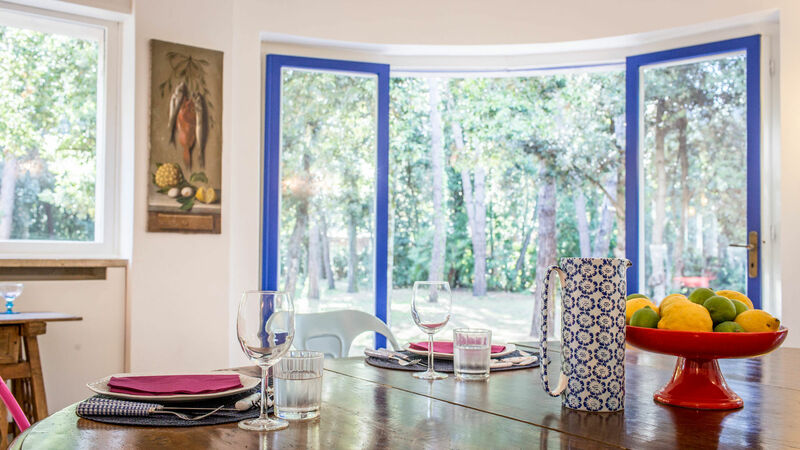 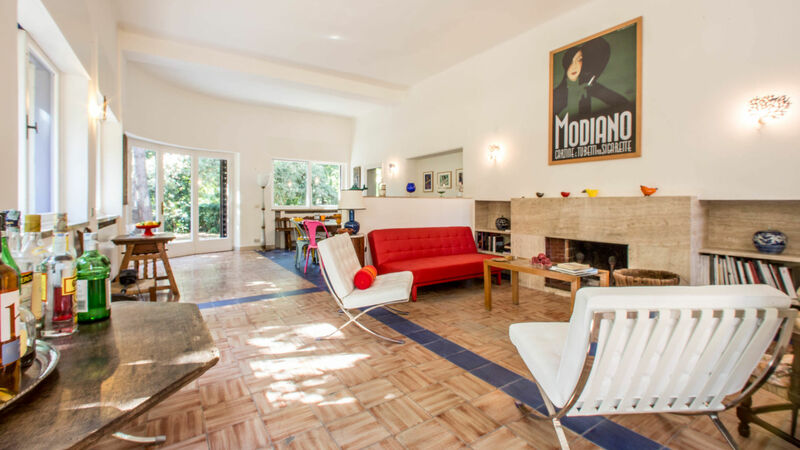 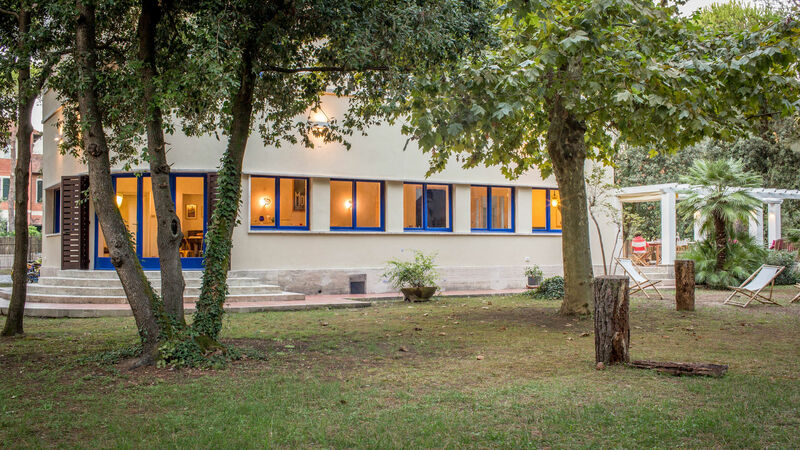 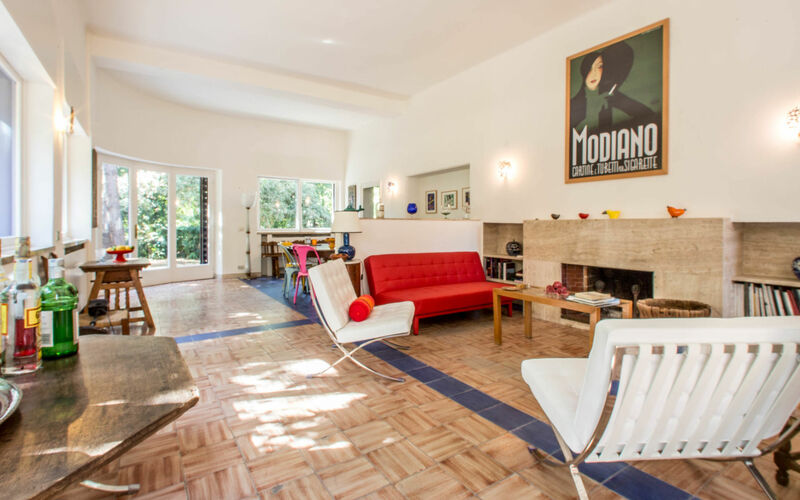 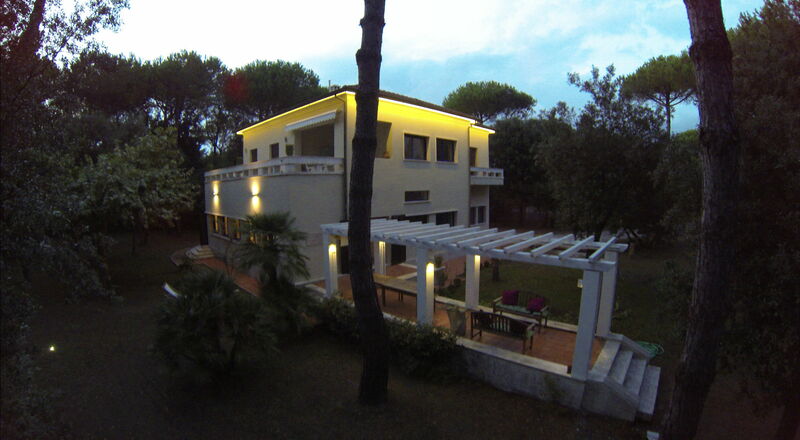 Wonderful Historical Holiday Villa in Tuscany, Versilia at only 130 meters from the Sea. 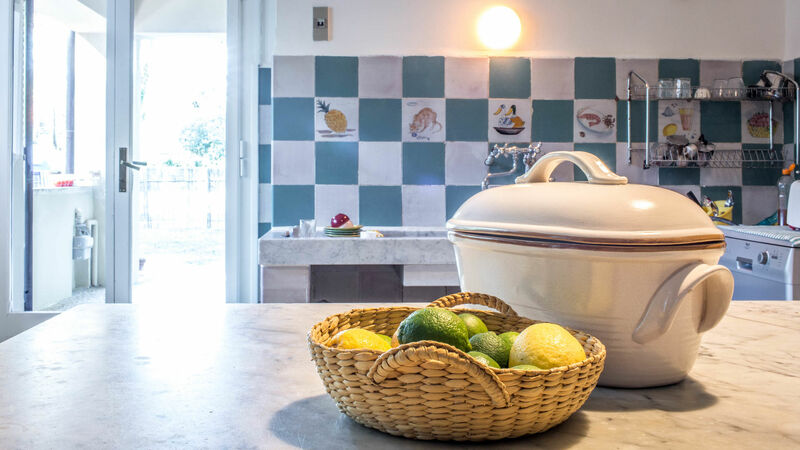 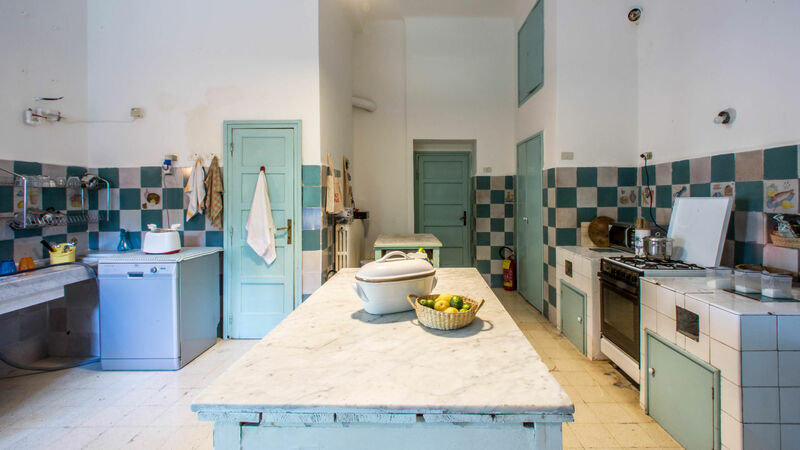 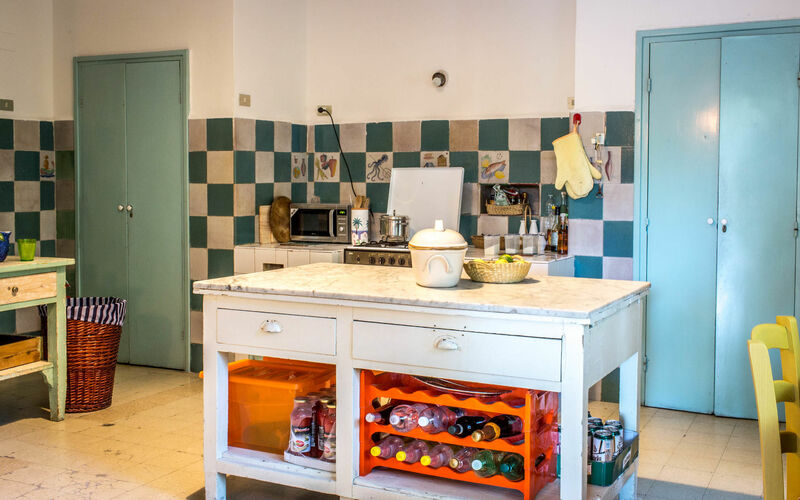 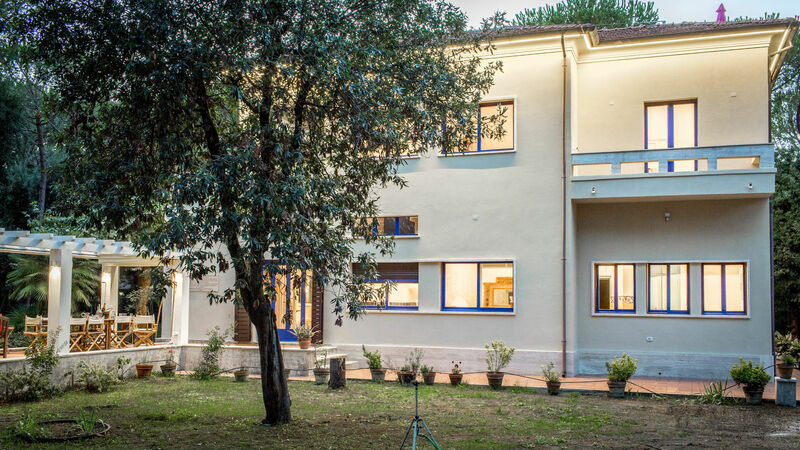 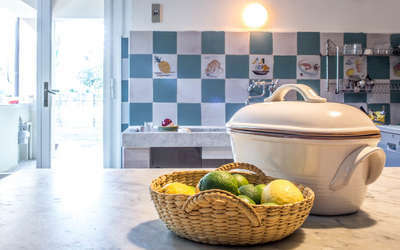 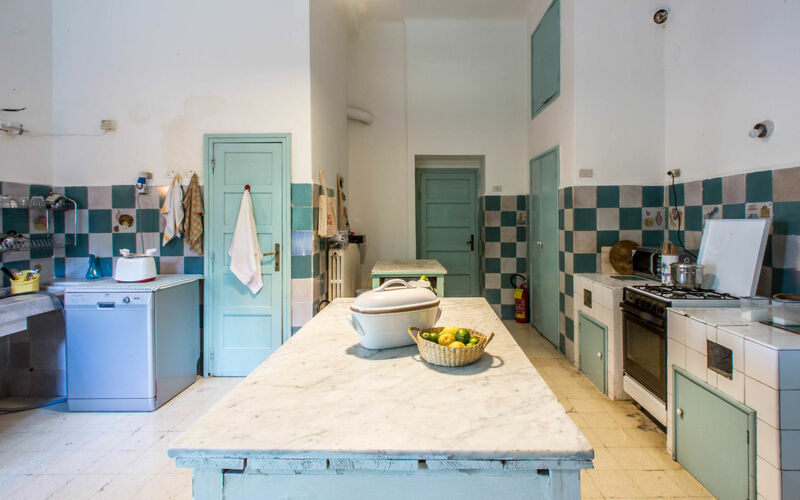 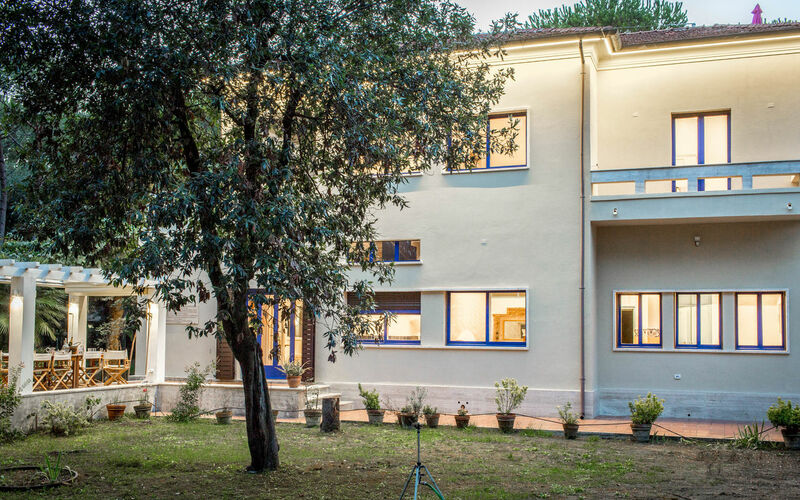 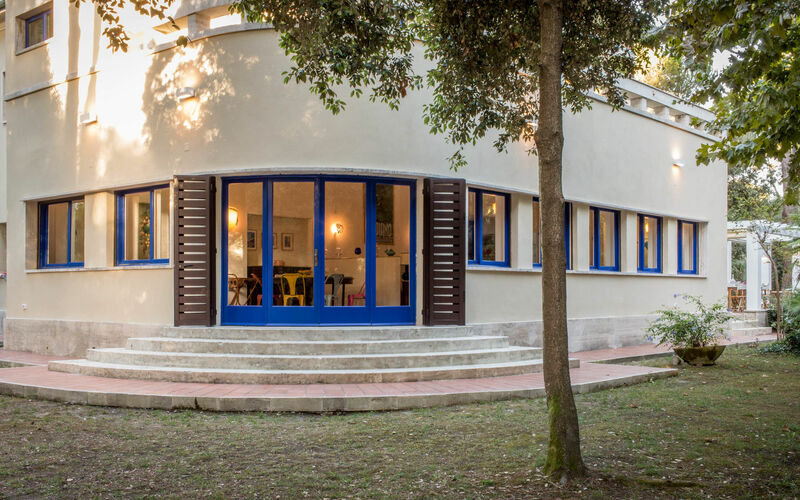 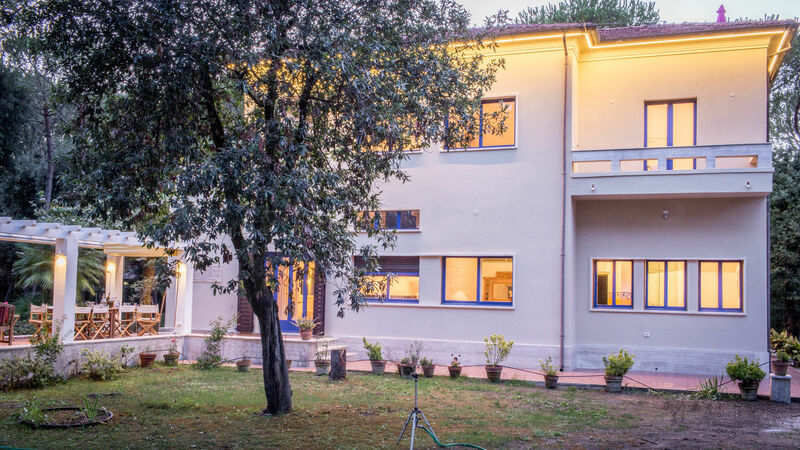 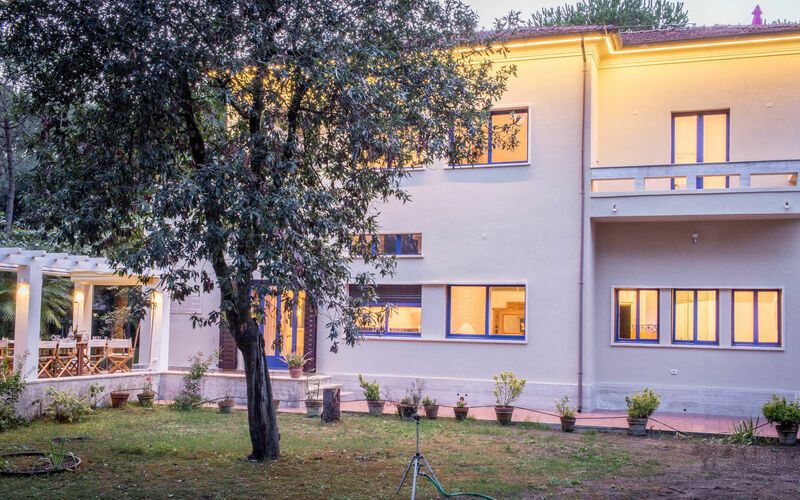 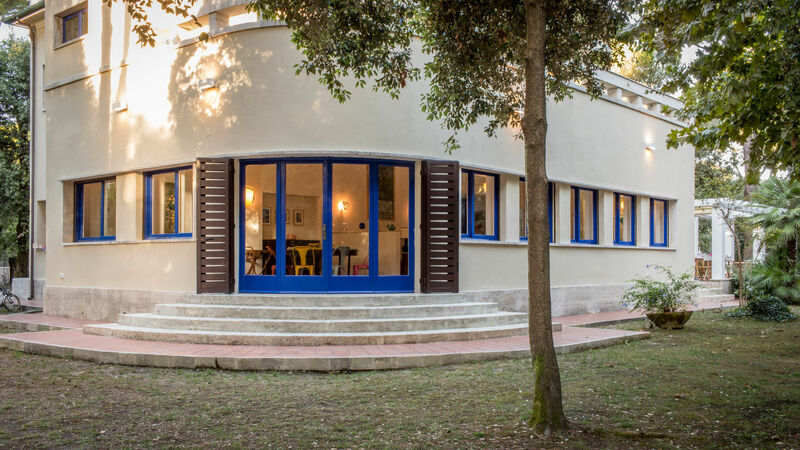 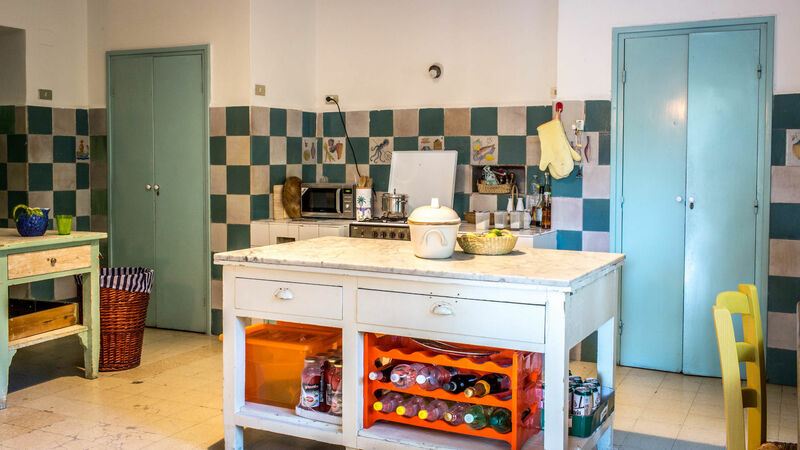 It has 7 bedrooms for 14 people, 6 bathrooms, small rooftop pool with views of the Apuan Alps, a 8000sqm garden and private pedestrian crossing from the garden down to the waterfront. 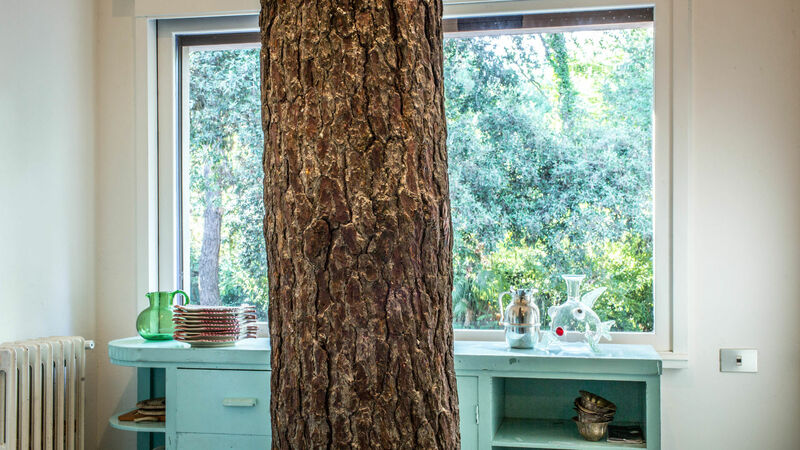 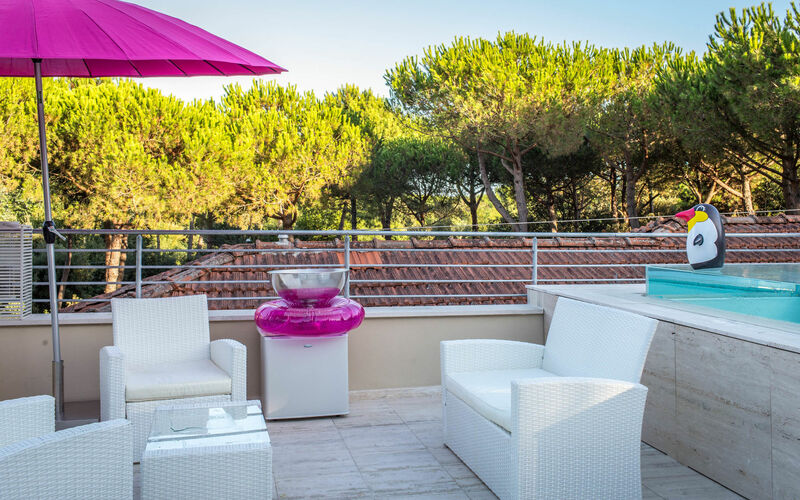 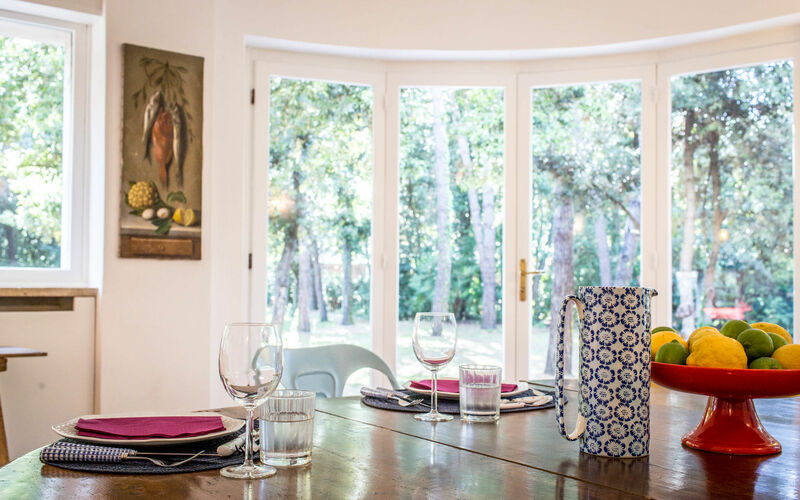 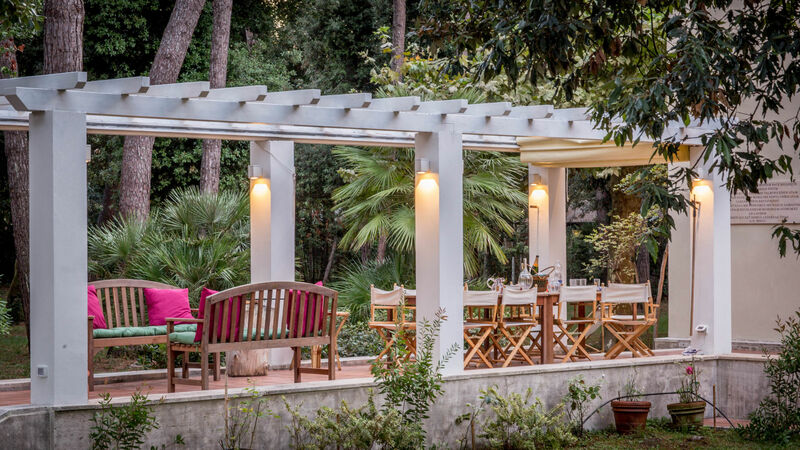 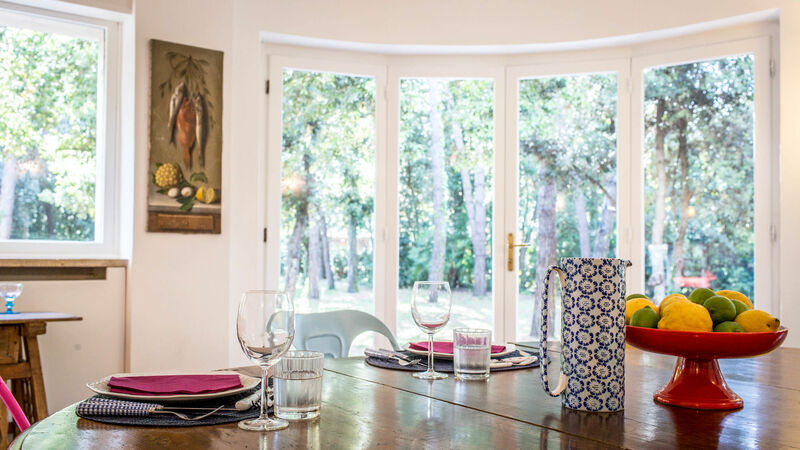 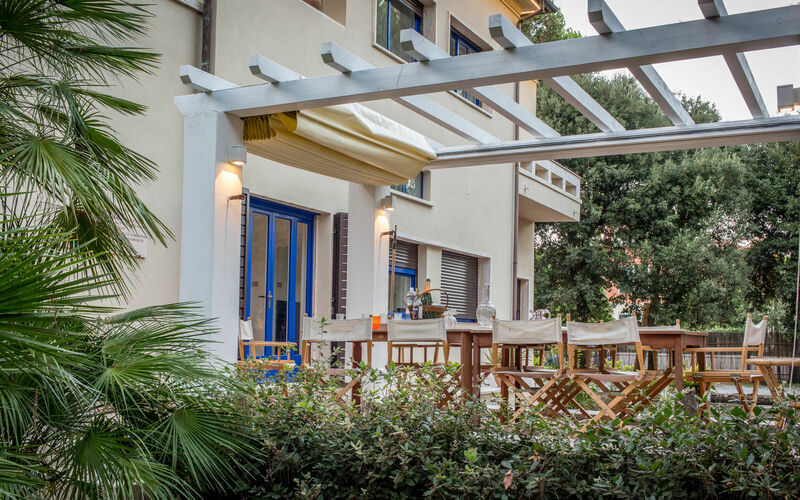 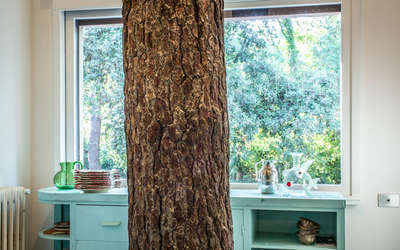 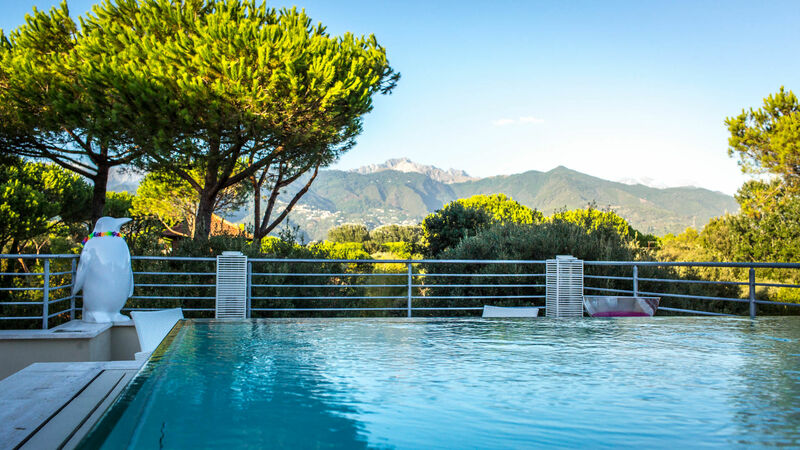 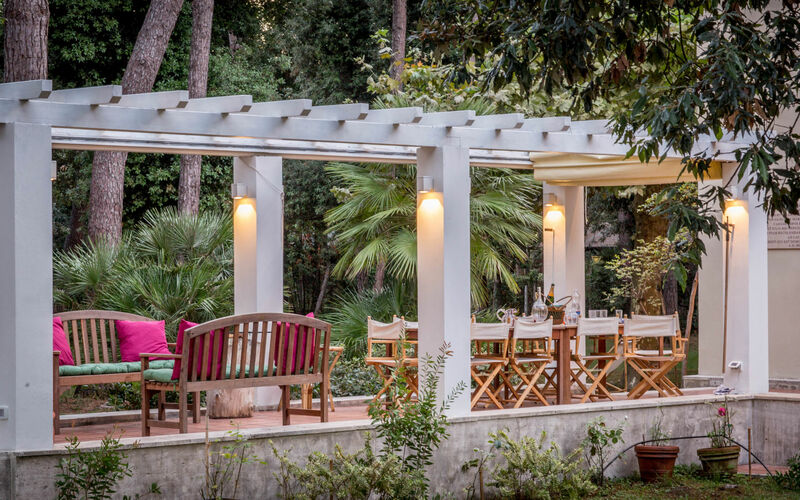 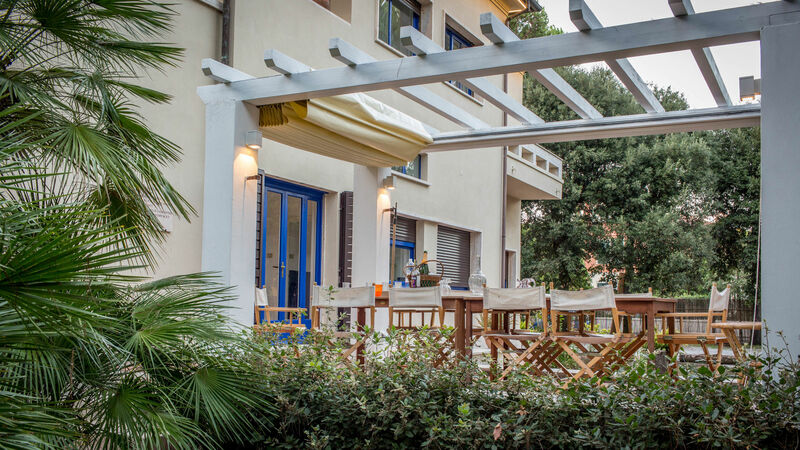 Villa Ferrari is located within a unique context of the Versilia coast, surrounded by greenery and tranquility just a few steps away from the sea. 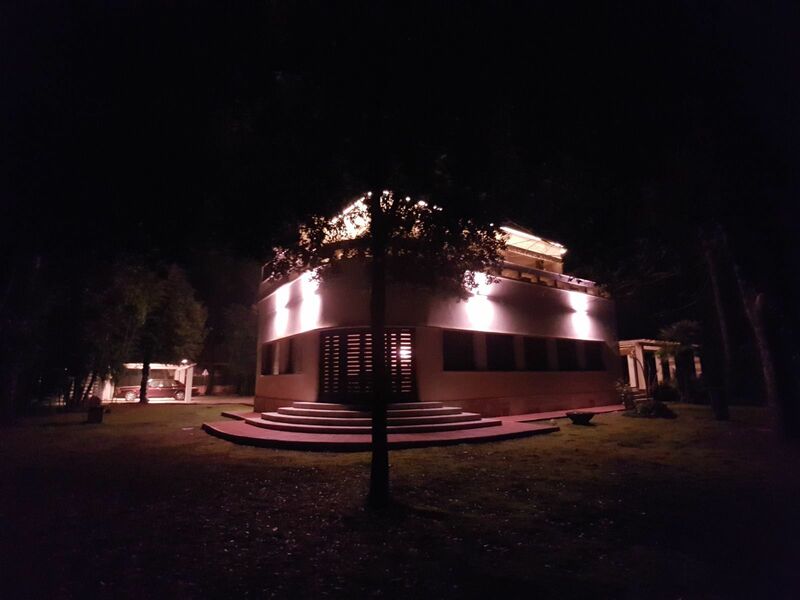 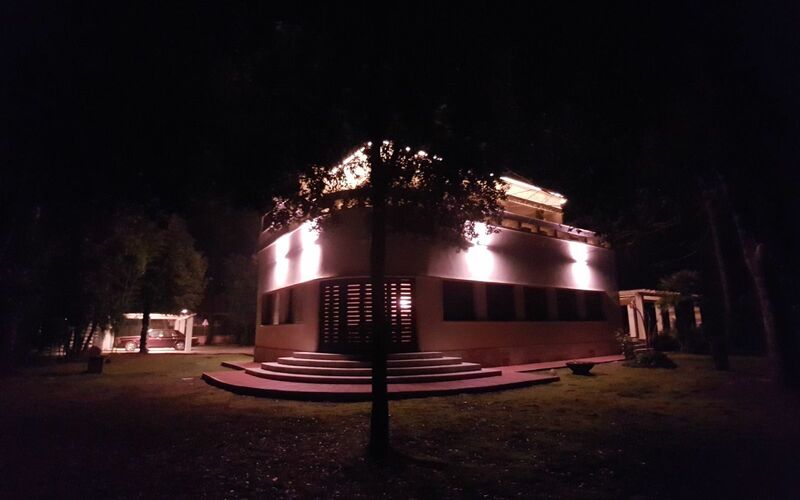 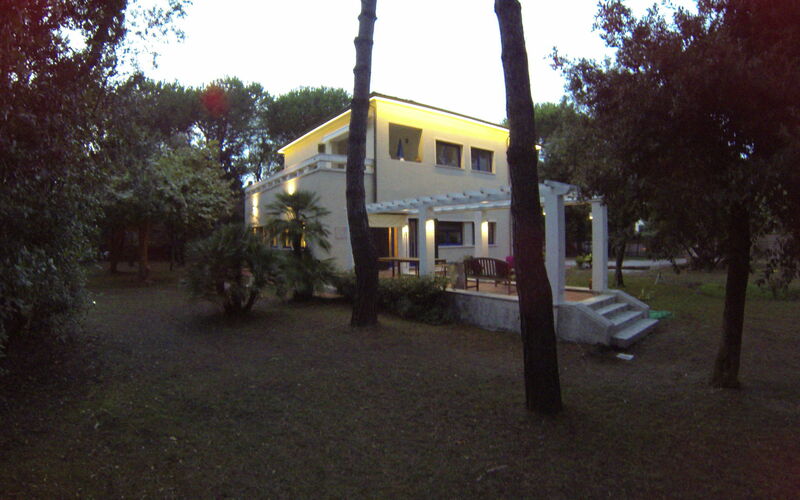 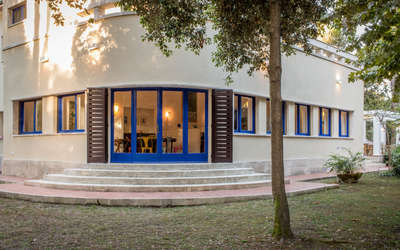 Located in the green area of Marina di Massa, Ronchi, with 8000 square meters of private garden where you will find the 4 covered parking spaces, a wonderful covered porch, complete with garden furnitureg, lights that illuminate the whole park at night, barbecue and a gate on the private walkway to the seafront (about 100 meters). 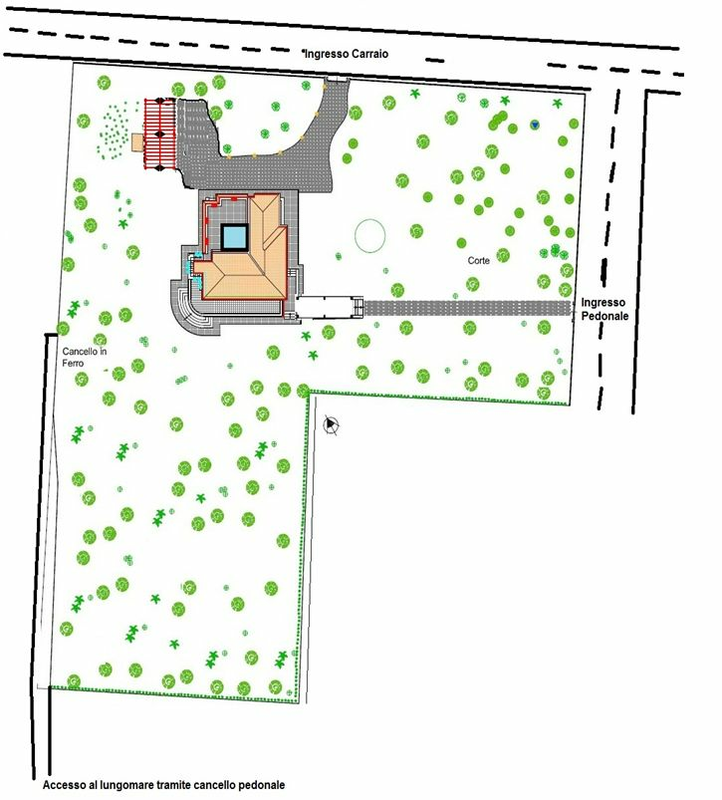 The main access to the property (electric gate) is located on the road parallel to the waterfront, the secondary instead is on a street nearer to the sea. 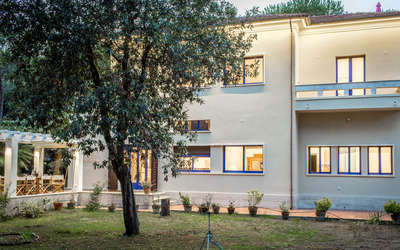 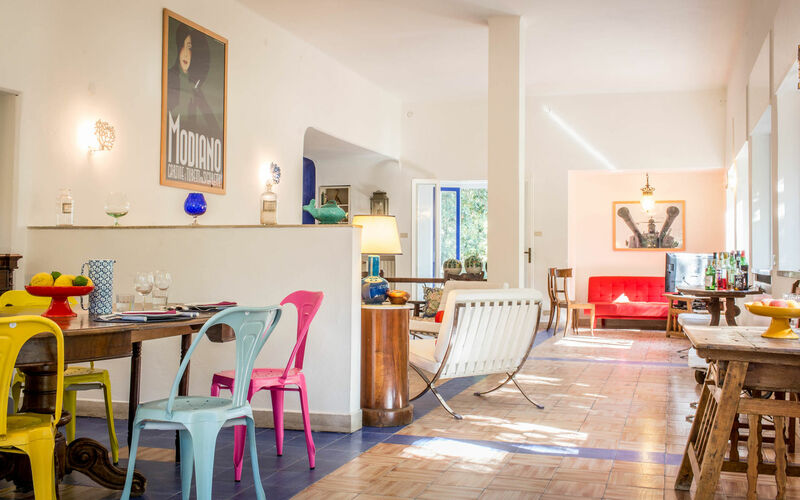 The exterior of the Villa is especially attractive during the evening because it is characterized by indirect lighting of the roof and terrace with swimming pool. 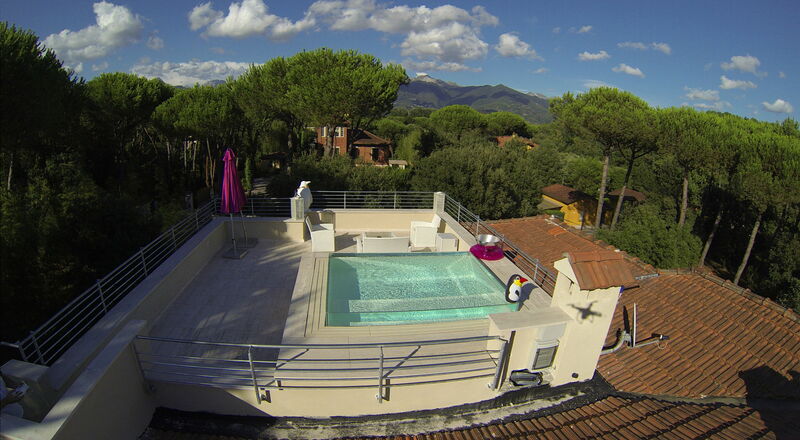 The small private pool is located on the roof of the Villa and offers a 100% privacy with mountain views. 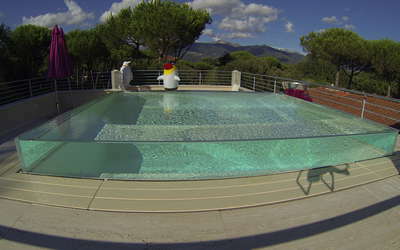 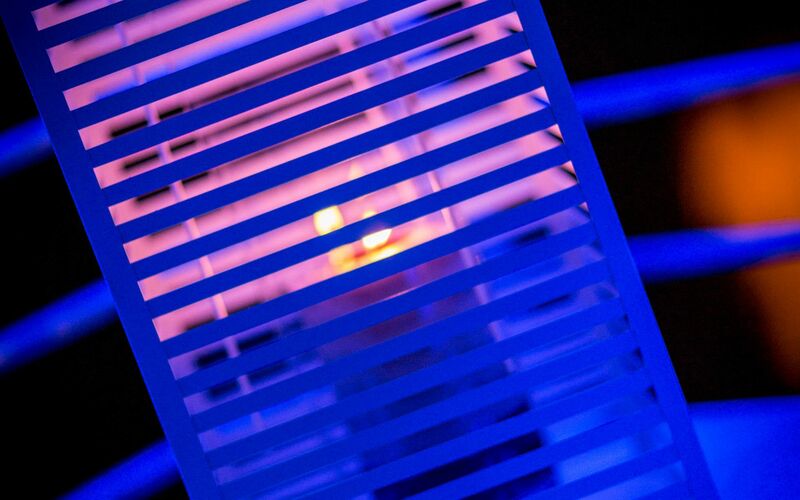 Measuring 3 x 3 meters and is one meter deep, characterized by infinity edge glass. 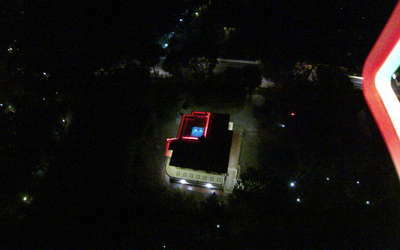 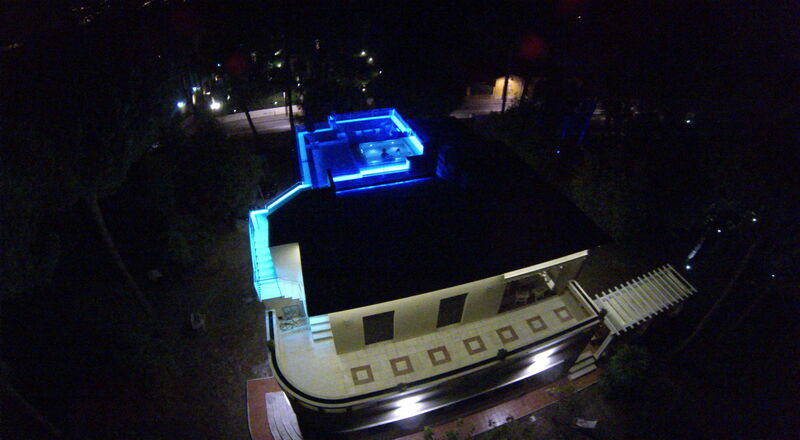 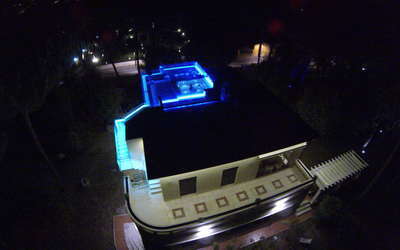 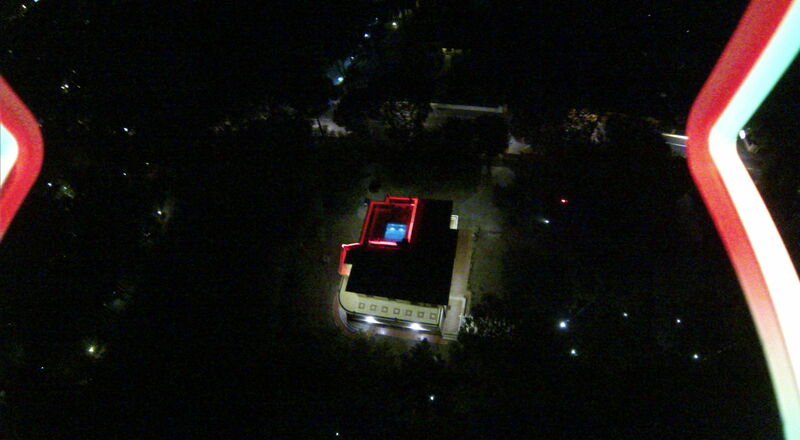 The whole pool area has a wonderful colorful LED lighting and outdoor furniture. 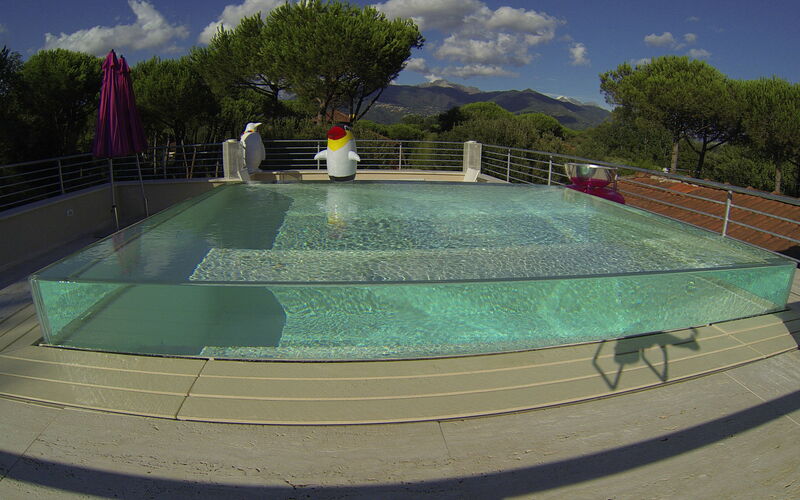 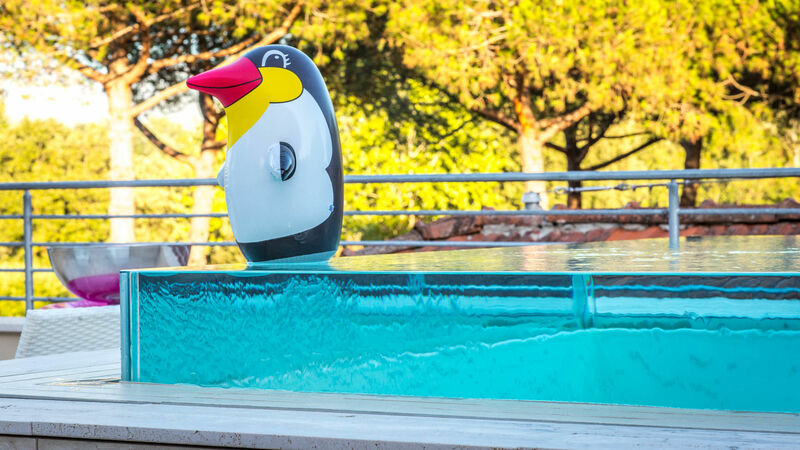 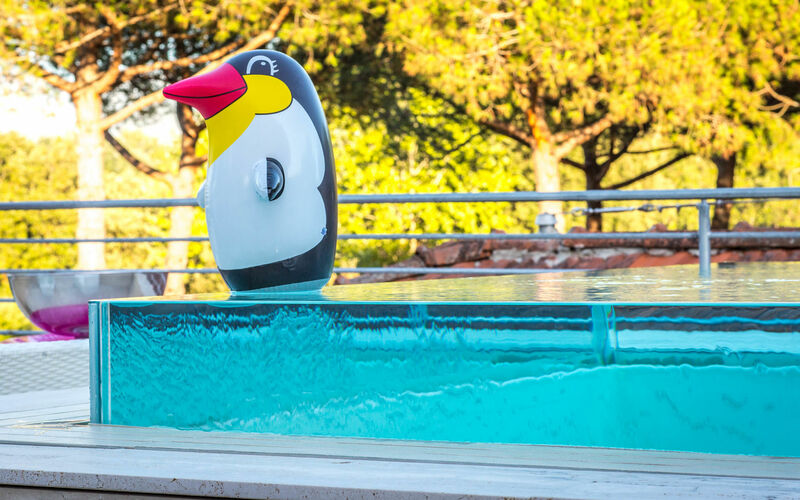 The pool is heated and can be used throughout the year. 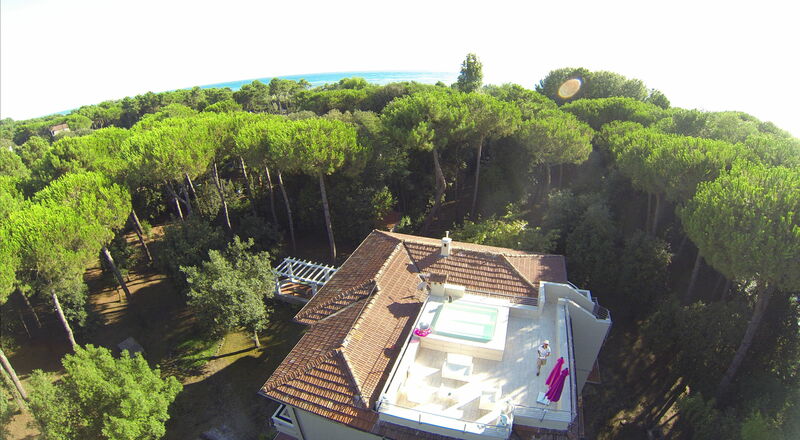 For golf lovers, about 5 km, there is the Versilia Golf Resort in Forte dei Marmi. 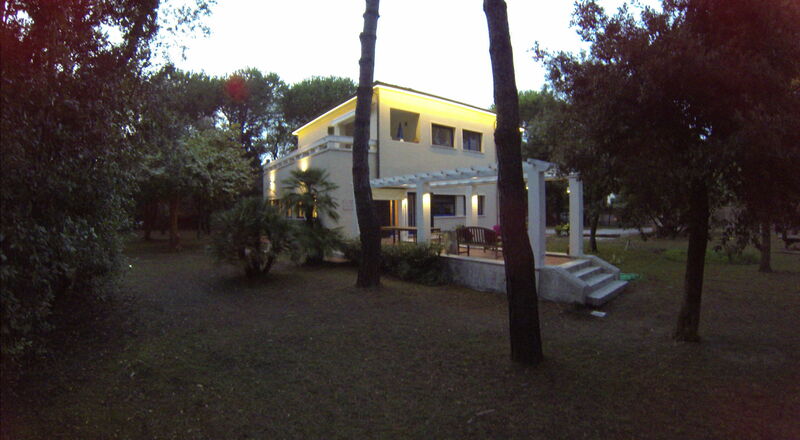 At the guests disposal, in front of the Villa, several covered parking spaces. 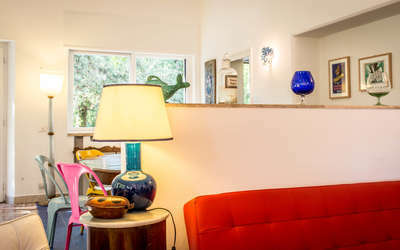 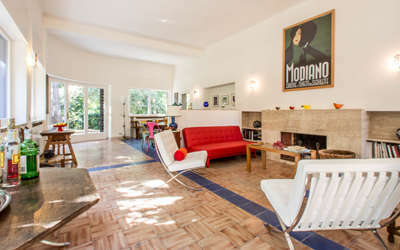 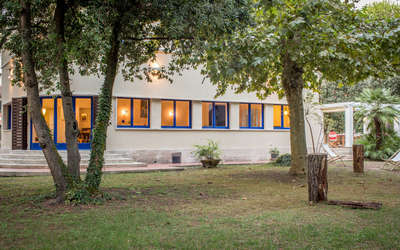 main entrance on the garden side leading to the large living room divided into dining area and living area, with a dining table, large windows overlooking the garden with electric blinds, fireplace, armchairs and sofas, a small TV area with SAT and secondary entrance on the porch with nearby a small guest bathroom. 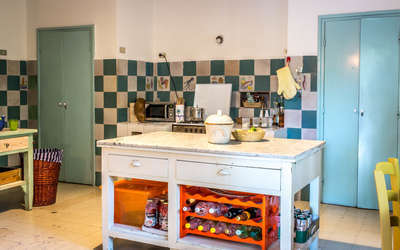 Large kitchen consists of stove with 4 burning fires and oven, fridge/freezer, microwave, coffee machine with waffles and American, dishwasher. 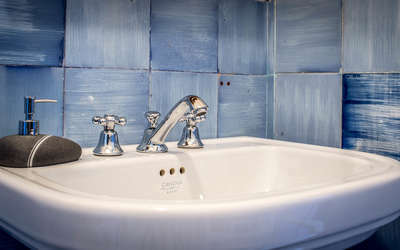 Small deposit for the only use as laundry with washing machine. 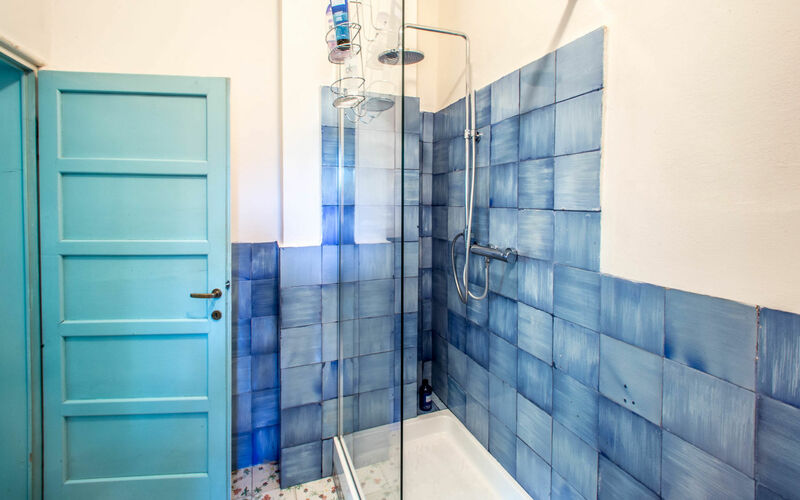 A hallway from the living room leads to two double bedrooms, both bedrooms share a bathroom with shower. 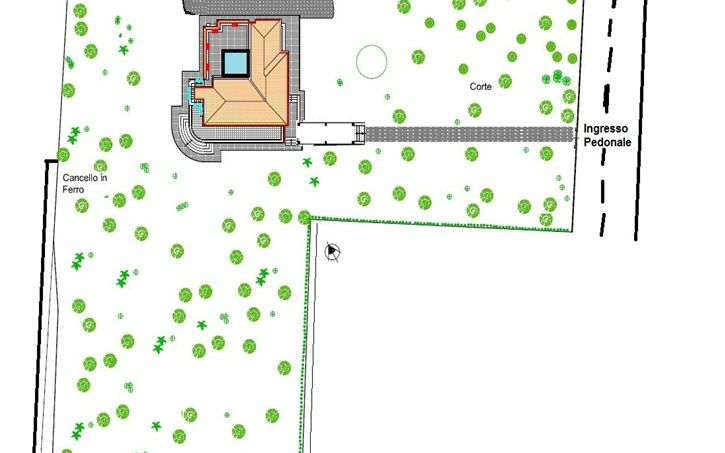 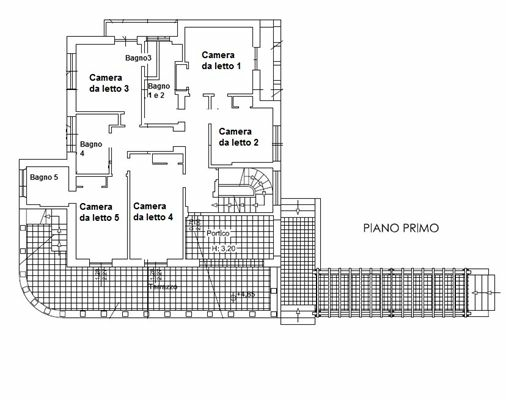 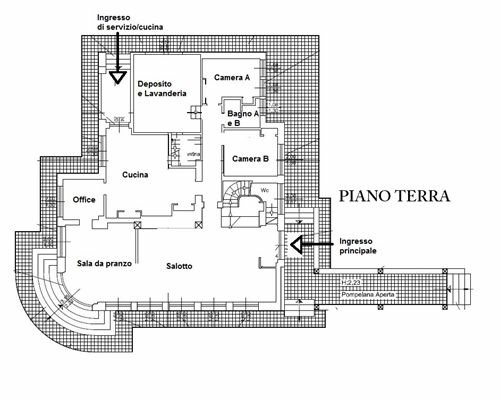 First floor: It is accessed via the staircase from the living room of the ground floor. - Two double bedrooms (interconnectable), one with private balcony and both have a shared bathroom with shower. 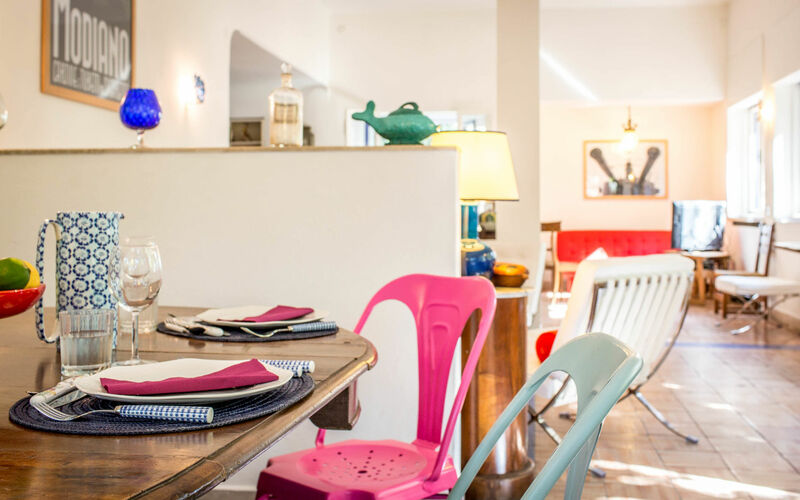 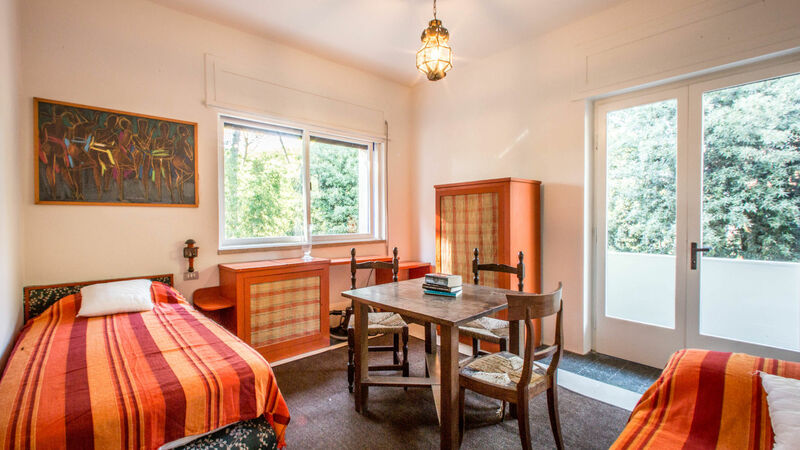 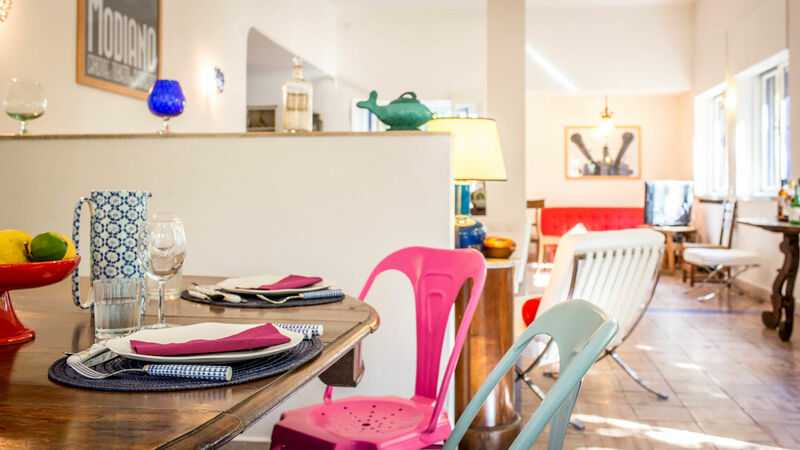 - Room with two single beds, a private balcony facing the mountains and small en-suite bath. 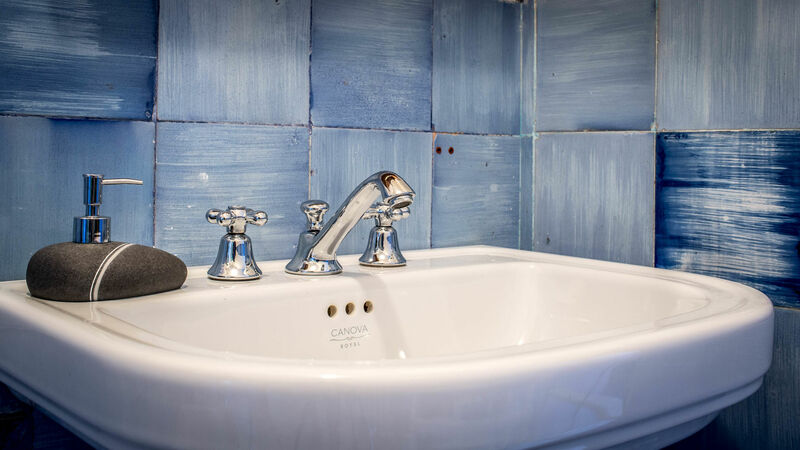 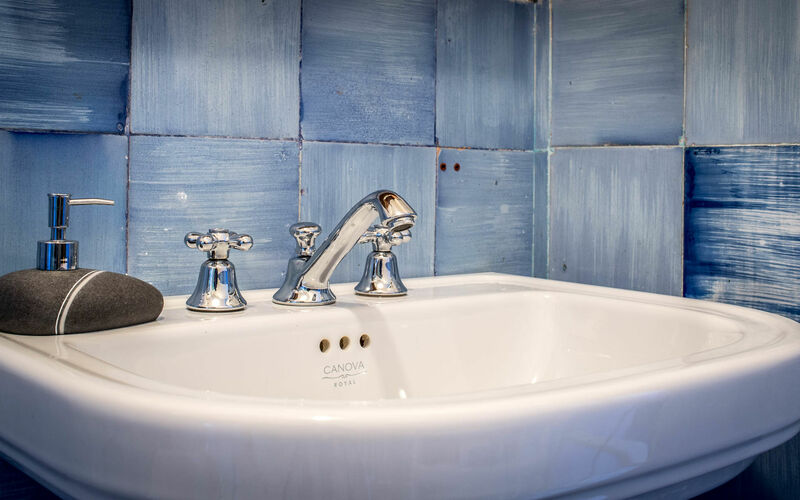 - Double room with private bathroom (bathtub) and terrace access. 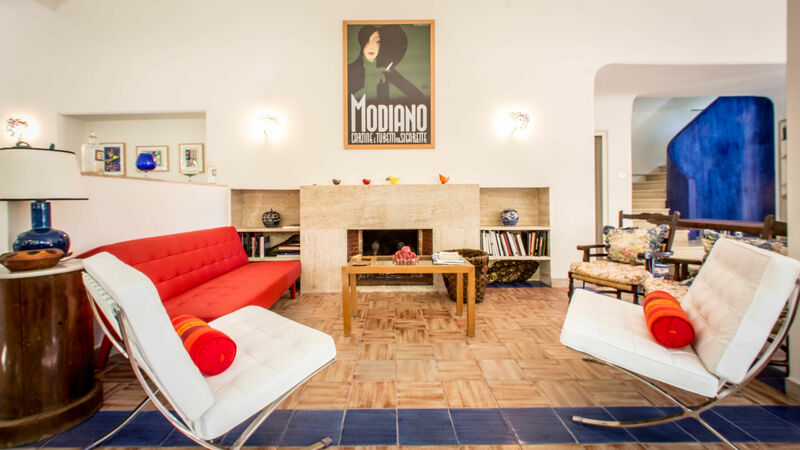 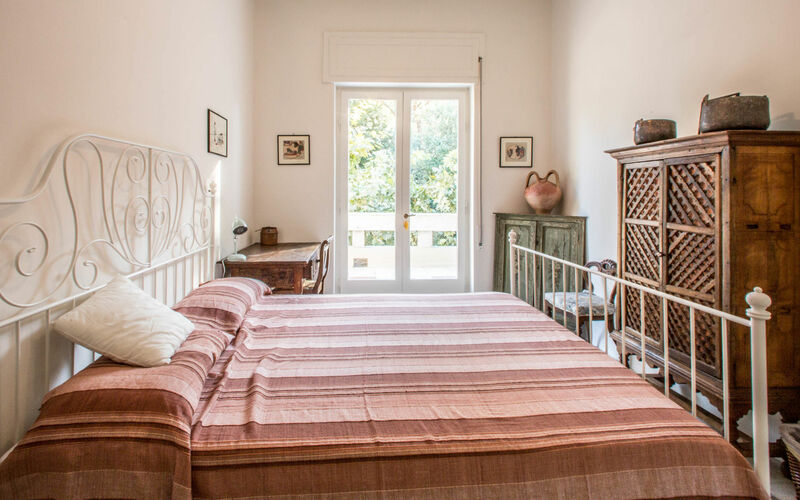 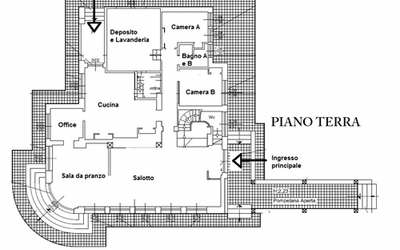 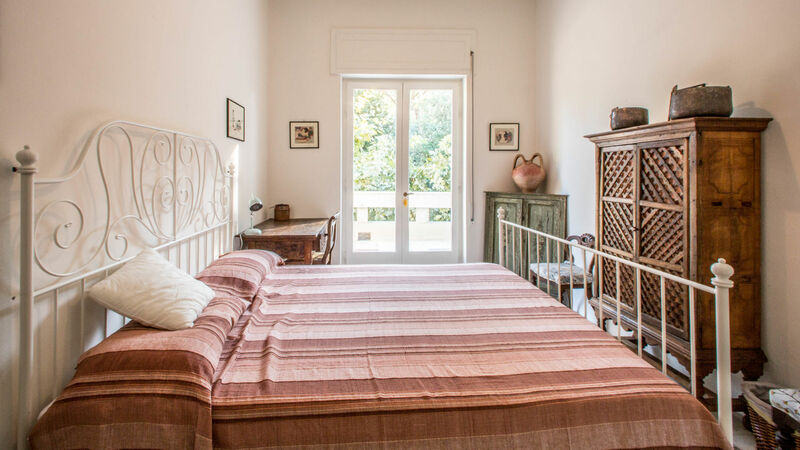 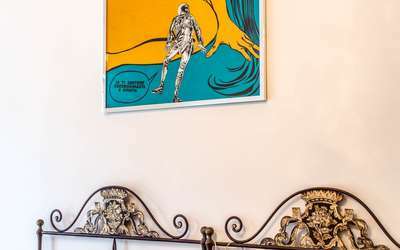 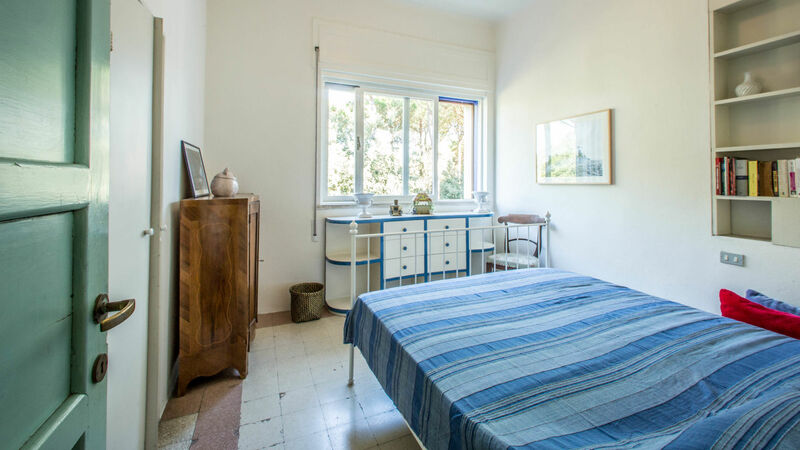 - Room with two single beds and access to the terrace. 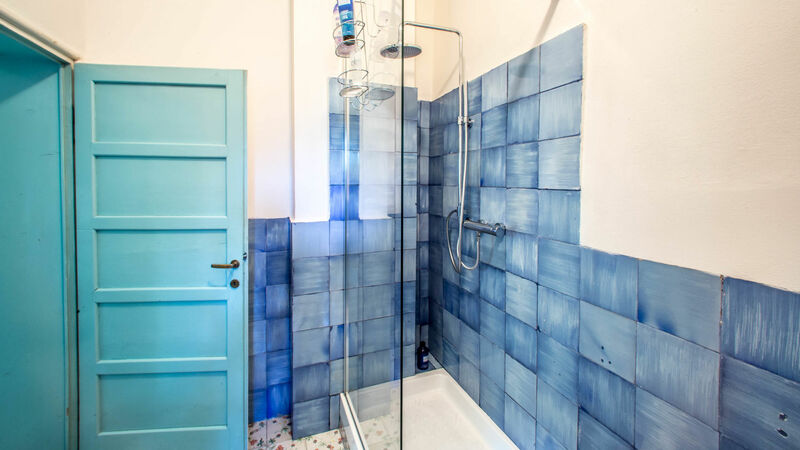 - Bathroom with large double glass shower. 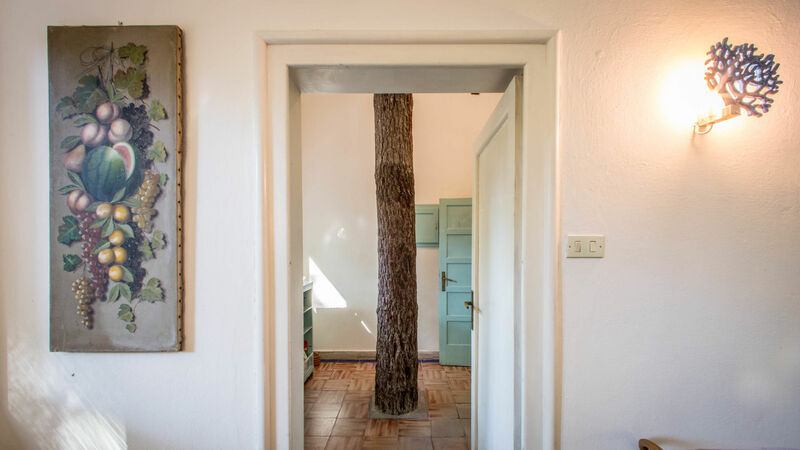 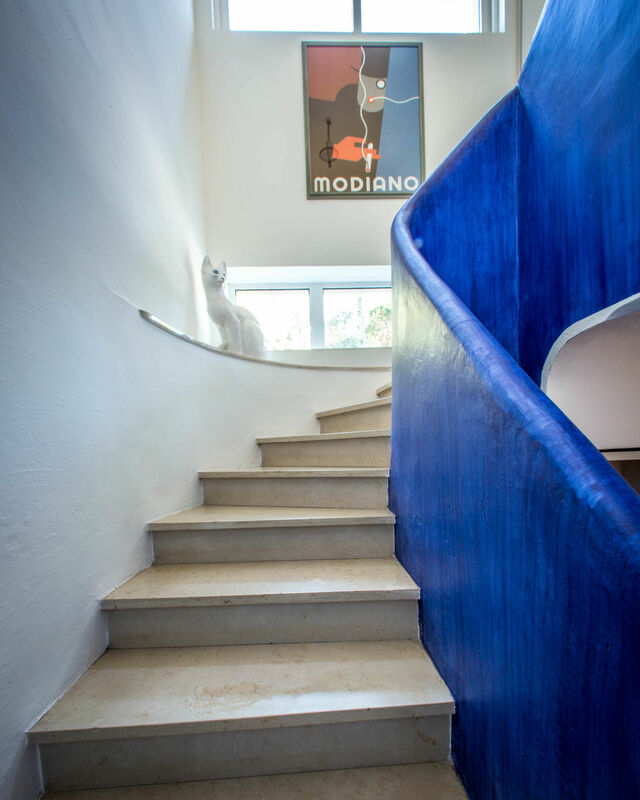 From the hallway on this floor and two bedrooms you have access to the large terrace of about 100sqm with motorized awning, outdoor furniture and porch. 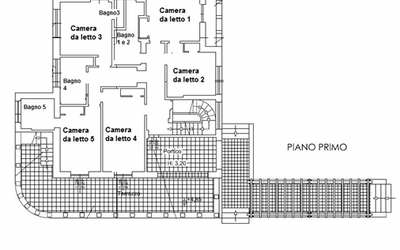 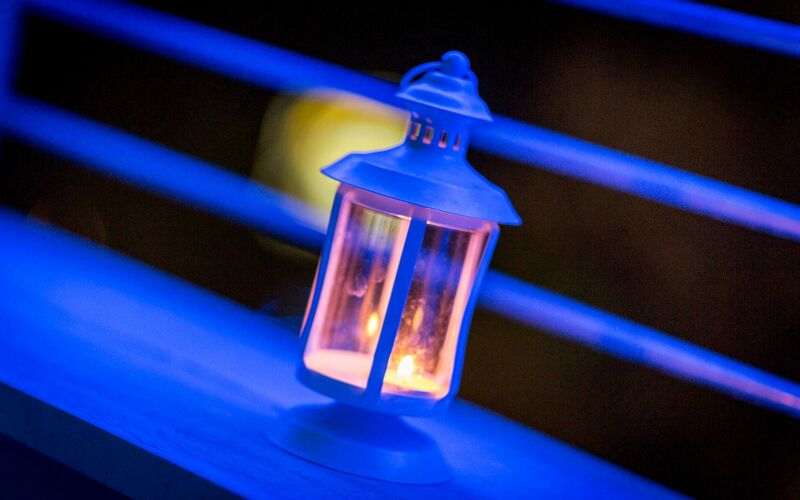 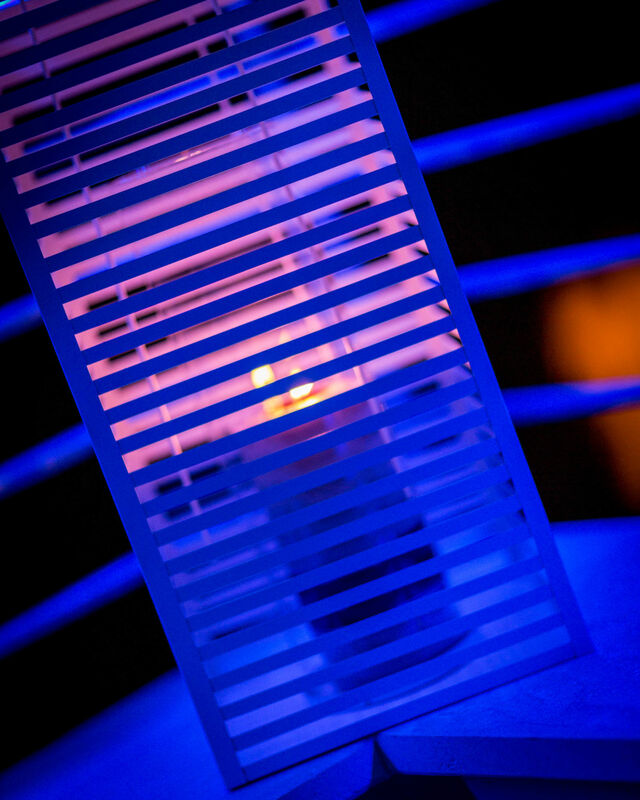 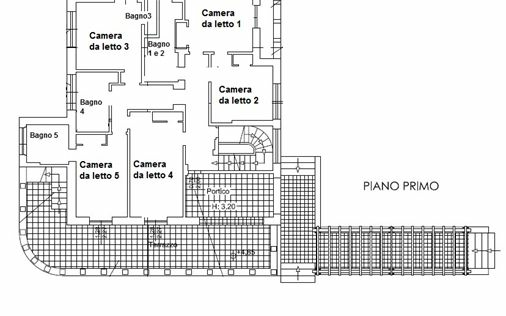 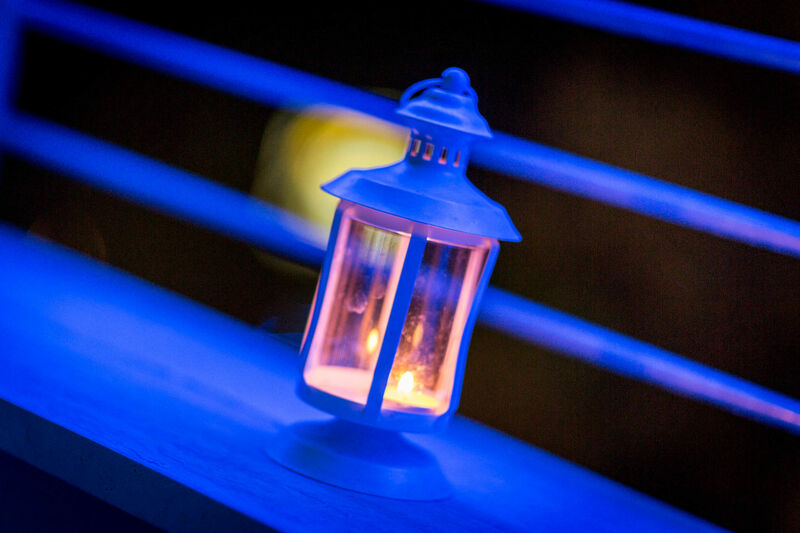 Roof (50 sqm terrace): It is accessed from the first floor terrace characterized by stairs with beautiful LED lights during the evening/night. 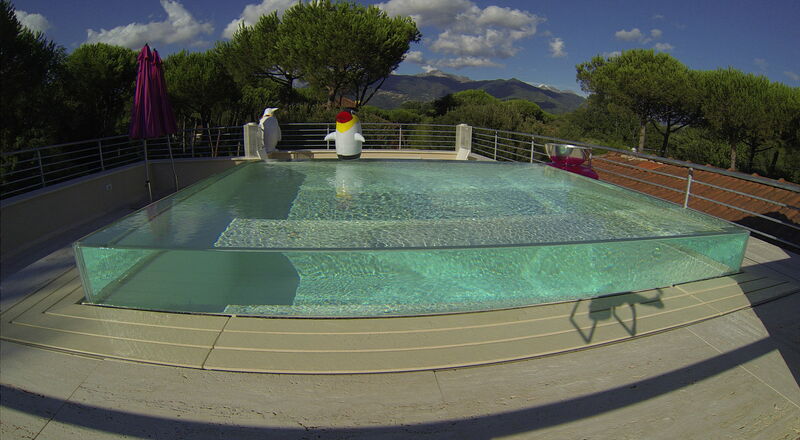 Here is the jewel of Villa Ferrari, private pool that measures 3x3 Meters, 1 Meter deep, with infinity edge glass where you can relax enjoying a 100% privacy. 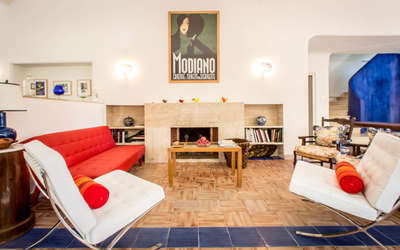 Apr 19, 2019 May 04, 2019 Any 7 € 1400 n.a. May 04, 2019 Jun 01, 2019 Any 3 € 725 n.a. Jun 01, 2019 Jun 22, 2019 Any 7 € 1088 n.a. 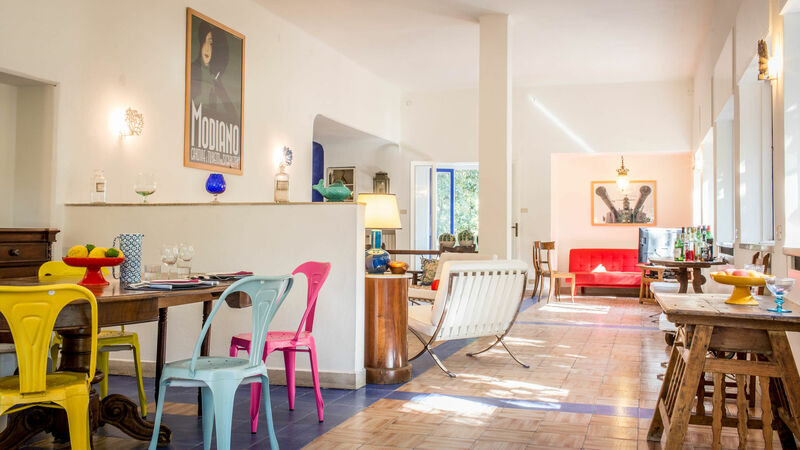 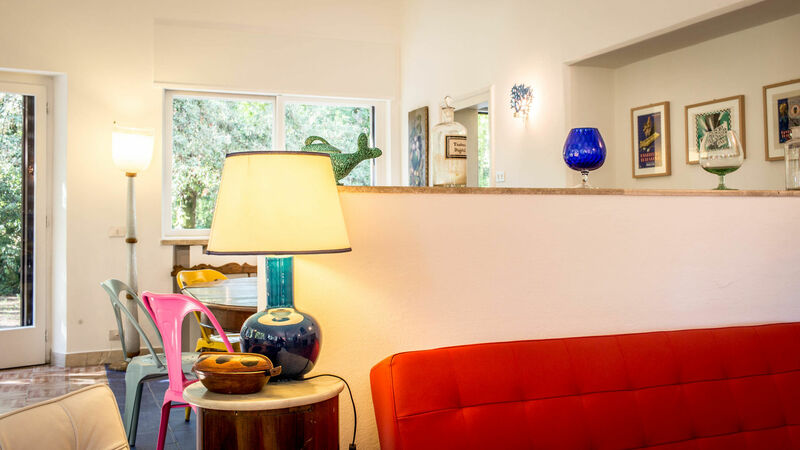 Jun 22, 2019 Aug 31, 2019 Any 7 € 1450 n.a. 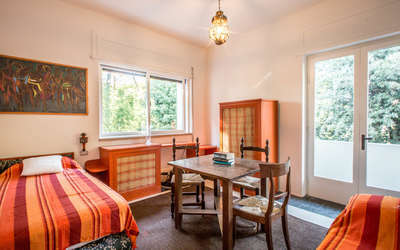 Aug 31, 2019 Sep 28, 2019 Any 7 € 1088 n.a. 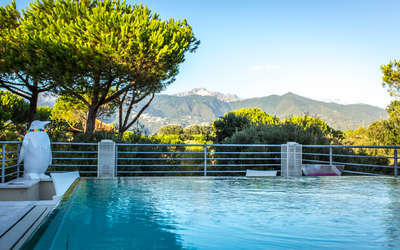 Sep 28, 2019 Dec 28, 2019 Any 3 € 525 n.a. 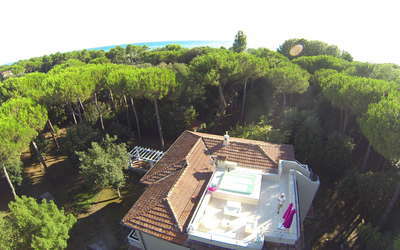 Dec 28, 2019 Jan 04, 2020 Any 3 € 1450 n.a.